The constellation Lyra the Harp. It’s hard to gauge the humongous size of the Summer Triangle by looking at our little chart. A 12-inch ruler, when placed at an arm’s length from your eye, spans the approximate distance from Vega to the star Altair. And an outstretched hand more or less fills the gap between Vega and Deneb. More than any other month, July is the month of the Summer Triangle. 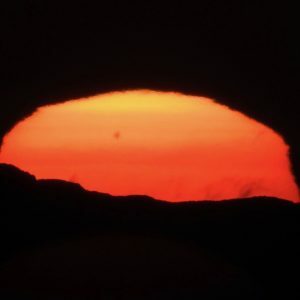 At mid-northern latitudes, the Summer Triangle’s stars – as if a trio of school kids on vacation – stay out from dusk till dawn, dancing amid the stars of our Milky Way galaxy. 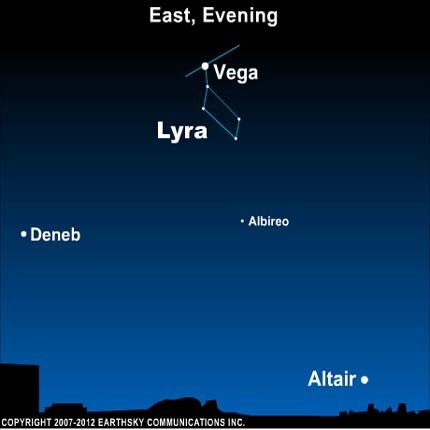 As our Earth turns tonight, Vega, Deneb and Altair travel westward across the sky. 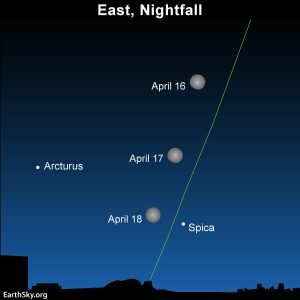 The Summer Triangle shines high overhead in the middle of the night, and sparkles in the west as the rose-colored dawn begins to color the sky. The Summer Triangle, photographed by Susan Jensen in Odessa, Washington. 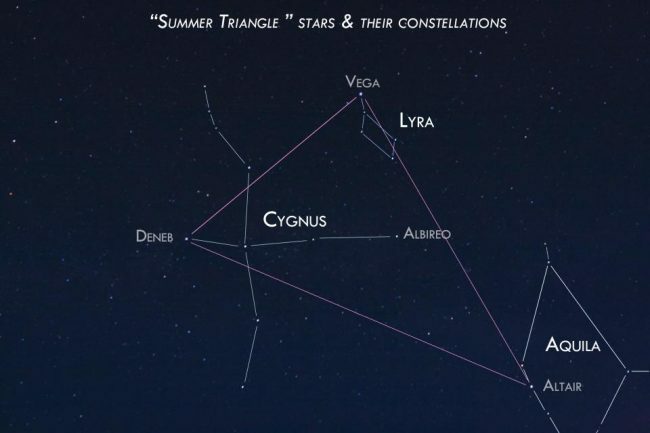 Bottom line: The Summer Triangle consists of 3 bright stars in 3 different constellations. 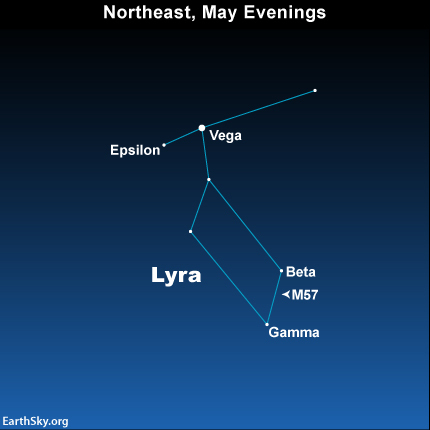 The brightest is Vega in the constellation Lyra.